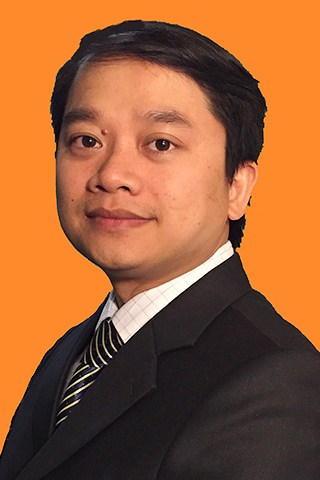 Dr. Diep N. Nguyen is a faculty member of the Faculty of Engineering and Information Technology, University of Technology Sydney (UTS). He received M.E. and Ph.D. in Electrical and Computer Engineering from the University of California San Diego (UCSD) and The University of Arizona (UA), respectively. Before joining UTS, he was a DECRA Research Fellow at Macquarie University, a member of technical staff at Broadcom (California), ARCON Corporation (Boston), consulting the Federal Administration of Aviation on turning detection of UAVs and aircraft, US Air Force Research Lab on anti-jamming. He has received several awards from LG Electronics, University of California, San Diego, The University of Arizona, US National Science Foundation, Australian Research Council, including nominations for the outstanding RA (2013) awards, the best paper award at the WiOpt conference (2014), Discovery Early Career Researcher Award (DECRA, 2015). His recent research interests are in the areas of computer networking, wireless communications, and machine learning application, with emphasis on systems' performance and security/privacy. Dr. Nguyen is a senior member of IEEE. I am NOW recruiting 2 PhD students with full scholarship (~$28,000/year plus tuition/fee waiver and additional allowance from Intel). Candidates who are interested in networking security, IoT, edge computing, energy efficiency design, wireless physical security, machine learning applications and with good publications are strongly encouraged to contact to apply. I am NOW recruiting 2 PhD students with full scholarship (~$28,000/year plus tuition/fee waiver and other additional allowance). Candidates who are interested in networking security, IoT, edge computing, energy efficiency design, wireless physical security, machine learning applications and with good publications are strongly encouraged to contact to apply. Diep N. Nguyen and Marwan Krunz, “Price-based Joint Beamforming and Spectrum Management in Multi-antenna Cognitive Radio Networks,” IEEE Journal on Selected Areas in Communications (JSAC), Vol 30, No. 11, pp. 2295–2305, Dec. 2012. Diep N. Nguyen and Marwan Krunz, “Cooperative MIMO in Wireless Networks: Recent Developments and Challenges,” IEEE Network, Vol. 27, No. 4, 2013. Diep N. Nguyen and Marwan Krunz, “Power Minimization in MIMO Cognitive Networks using Beamforming Games,” IEEE Journal on Selected Areas in Communications (JSAC), Vol 31, No. 5, pp. 916–925, May 2013. Marwan Krunz, Mohammad Z. Siam, Diep Nguyen, “Clustering and Power Management for Virtual MIMO Communications in Wireless Sensor Networks,” Ad Hoc Networks Journal (Elsevier), Vol 11, No. 5, pp. 1571–1587, 2013. Diep N. Nguyen and Marwan Krunz, “A Cooperative MIMO Framework for Wireless Sensor Networks,” ACM Transactions on Sensor Networks (TOSN), Vol 10, Issue 3, April, 2014. Diep Nguyen, Marwan Krunz, and Stephen Hanly, “Distributed Bargaining Mechanisms for MIMO Dynamic Spectrum Access Systems,” IEEE Transactions on Cognitive Communications and Networking (TCCN) Vol 1, No. 1, pp. 113-127, 2015. X. Tong, G. Fang, D. Nguyen, J. Lin, E. Cabrera, “An Energy-Balanced Routing Algorithm in Wireless Seismic Sensor Network,” to appear on Journal of Computational and Theoretical Nanoscience (CTN). Peyman Siyari, Mawarn Krunz, and D. Nguyen, "Friendly Jamming in a MIMO Wiretap Interference Network: A Non-Convex Game Approach," IEEE Journal on Selected Areas in Communications (JSAC) 2016 (Game Theory for Networks special issue). Thuy T. Pham, Steven T. Moore, Simon J.G. Lewis, Diep N. Nguyen, Eryk Dutkiewicz, Andrew J. Fuglevand, Alistair L. McEwan, Philip H.W. Leong, "Freezing of Gait Detection in Parkinson's Disease: A Subject-Independent Detector Using Anomaly Scores," IEEE Transactions on Biomedical Engineering 2017. Thuy T. Pham, Diep N. Nguyen, Eryk Dutkiewicz, Alistair L. McEwan, Philip H.W. Leong, "Freezing of Gait Detection: Validation of Anomaly Scores Using Wearable Monitoring Systems," Physiological Measurement 2016 (revision). Huiyang Wang, Eryk Dutkiewicz, Diep N. Nguyen, Gengfa Fang, Markus Dominik, “Negotiable Auction based on Mixed Graph: A Novel Spectrum Sharing Framework,” IEEE Transactions on Cognitive Communications and Networking 2017. Diep N. Nguyen and Marwan Krunz, “Joint Waveform Adaptation and Frequency Hopping to Combat Jammers,” in preparation. Diep N. Nguyen, Iain B. Collings, Stephen Hanly, Phil Whiting, “A Cooperation Framework for Traffic Offloading among Cellular Systems,” Proc. of the IEEE International Conference on Communications (ICC), London, UK, June 2015. Peyman Siyari, Marwan Krunz, and Diep Nguyen, "Secure Communications via Power Control in a MIMO Wiretap Interference Network with Jamming Transmitters and Receivers," University of Arizona, Department of ECE, TR-UA-ECE-2017-2 (last updated: Sep. 16, 2017). Peyman Siyari, Marwan Krunz, and Diep Nguyen, "Secure transmissions using artificial noise in MIMO wiretap interference channel: A game theoretic approach," University of Arizona, Department of ECE, TR-UA-ECE-2016-2 (last updated: December 21, 2016). Manjesh K. Hanawal, Mohammad J. Abdel-Rahman, Diep Nguyen, and Marwan Krunz, “Game theoretic anti-jamming dynamic frequency hopping and rate adaptation in wireless systems,” University of Arizona, Tech. Rep. TR-UA-ECE-2013–3, Aug., 2013. Diep Nguyen and Marwan Krunz, “Power Minimization in Cognitive MIMO Networks,” University of Arizona, Tech. Rep. TR-UA-ECE-2013–1, Feb., 2013. Diep Nguyen and Marwan Krunz, “Distributed Channel Assignment and Precoder Design for Multiantenna Dynamic Spectrum Access Systems,” University of Arizona, Tech. Rep. TR-UA-ECE-2012–2, Dec., 2013. Diep Nguyen and Marwan Krunz, “Spectrum management and power allocation in MIMO cognitive networks,” University of Arizona, Tech. Rep. TR-UA-ECE-2011–2, Aug., 2011. Diep Nguyen and Marwan Krunz, “Modeling and Prediction Battery Lifetime of Wireless Sensor Nodes,” Tech. Rep. delivered to Raytheon Missile Systems, May, 2011. Modeling and Prediction Battery Lifetime of Wireless Sensor Nodes: Wireless sensors, powered by chemical battery, are often left unattended after deploying (e.g., in the jungle to monitor habitants, or in battlefields to track movement of enemy’s troops). It is critical to model and predict the longevity of the network, that depends on lifetime of every sensor node. Lifetime of a sensor network depends on both the battery lifetime of individual nodes and how information is routed. Knowing how a battery discharges versus various traffic profiles allows us to configure the optimal duty cycle for each individual sensor (by leveraging the nonlinear discharge curve of chemical batteries). The optimal duty cycle of a sensor, in terms of network lifetime, depends on its position and how much data is relayed through it. In this project, we provide a software that can predict battery lifetime of a sensor under arbitrary discharge profiles (i.e., duty cycle) within 5% margin of DUALFOIL. The developed software is much faster (in minutes) than DUALFOIL (in days for a desktop with Intel Core 2 CPU 1.83GHz and 2G Ram) and allows one to optimize sensor mote’s lifetime without requiring low-level simulations. Mining Wireless Signal: Machine Learning Approaches to Seal Security Holes. Extracting Intelligence from Noise and Interference using Recent Advances in Self-Interference Suppression. User-based Radio Spectrum Harvesting System: Enabling a Real-time Map of Spectrum Opportunities. Cognitive MIMO Communications for Dynamic-spectrum Wireless Networks. Cognitive Radio Spectrum Management and Waveform Adaptation for High-Capacity Satellite Communications. Protocols for Virtual MIMO in Multi-hop Wireless Sensor Networks. Exploiting Battery-Supply Nonlinearities in Optimal Resource Management and Protocol Design for Wireless Sensor Networks. Modeling and Prediction of Battery Lifetime in Wireless Sensor Nodes. © 2017, Springer Science+Business Media New York. The present study offers a logical understanding of the development of human resource management (HRM) in Vietnam over the past 30 years. While previous studies have examined the adoption of HR practices, there remains a need to understand the current state of HRM development in Vietnam. Using a semantic analysis approach, we systematically analyzed the themes and concepts from 100 journal articles related to HRM in Vietnam, selected from academic databases between 1984 and 2013. The main study findings show that the development of HRM is associated with the key stages of economic development in Vietnam. © Copyright 2018, Mary Ann Liebert, Inc., publishers 2018. Human immunodeficiency virus type 1 (HIV-1) is a rapidly evolving pathogen that causes acquired immunodeficiency syndrome (AIDS) in humans. There are 30-35 million people infected with HIV around the world, and 25 million have died since the first reported cases in 1981. In addition, each year 2-3 million people become newly infected, and >1 million die of AIDS. An HIV-1 vaccine would help halt an AIDS pandemic, and efforts to develop a vaccine have focused on targeting the HIV-1 envelope, Env, found on the surface of the virus. A number of chronically infected individuals have been shown to produce antibodies, called broadly neutralizing antibodies (bnAbs), that target many strains of HIV-1 by binding to Env, thus suggesting promise for HIV-1 vaccine development. BnAbs take years to develop, and have a number of traits that inhibit their production; thus, a number of researchers are trying to understand the pathways that result in bnAb production, so that they can be elicited more rapidly by vaccination. This review discusses results and implications from two HIV-1-infected individuals studied longitudinally who produced bnAbs against two different sites on HIV-1 Env, and immunization studies that used Envs derived from those individuals. Nguyen, NTH & Nguyen, DTN 2018, 'Impacts of green marketing on the green brand image and equity in banking sector', WSEAS Transactions on Business and Economics, vol. 15, pp. 452-460. © 2018, World Scientific and Engineering Academy and Society. All rights reserved. The objective of this study is to examine the influence of the green marketing elements to the green bank equity through the intermediary term of green brand image, well fitting the key characteristics of commercial banks in Vietnam. Results of exploratory factor analysis shows that the green marketing scale consists of three components, which are green corporate social responsibility, green product development and green internal processes. All three components have a positive impact on the green bank image which accordingly influences the green bank equity. This result implies for bank managers in making strategies to enhance brand image by increasing green components of green marketing to make positive difference in establishing their brand equity and gaining their customers' trust. © 2018, Emerald Publishing Limited. Purpose: Human resource (HR) philosophy and an organization's commitment to employees (OCE) are important components of a human resource management (HRM) system, yet the influences of these variables on the effectiveness of HRM implementation has been less evident. Similarly, few studies have examined the effect of intended and implemented HR practices on line managers' perceptions of HR department effectiveness. The purpose of this paper is to examine how these factors could result in a positive evaluation of HR department effectiveness in Vietnam. Design/methodology/approach: Study 1 consisted of 405 line managers and the authors used this sample to test the proposed research model. Study 2, comprising 192 line managers, was used to validate the findings from Study 1. Findings: The authors found empirical evidence of how HR managers should leverage their relationships with line managers to enhance HR department effectiveness in a developing economy such as Vietnam. Research limitations/implications: As data were from line managers in one point in time, this study could be affected by common method bias. However, the authors conducted three common method variance checks and the analyses showed that this issue was not a major concern. Future studies could extend the sample of respondents by collecting information from CEOs, employees, and HR managers. Originality/value: This study contributes to the extant literature empirical evidence of determinants of HR department effectiveness. First, the study shows the simultaneous impacts of HR philosophy and OCE on the actual implementation of HR practices. Second, the authors provide an understanding of line managers' evaluation of HR department effectiveness through their experience with implemented HR practices. © 2017 Institute of Public Administration Australia This paper uses the job demands-resources theory to examine the consequences of changes on nursing work. Data were collected from 220 public sector nurses in Australia to test the model. We conducted a two-wave data collection process where independent variables (organisational change, workload, job control, nursing administrative stressors, cynicism about organisational change, and demographic variables) were collected in Time 1. The dependent variables (nursing work engagement and job satisfaction) were collected 6 months later. Changes to nursing work were found to cause high workload and an increase of administrative stressors that leads to an increase in nurses' change cynicism. Job control was needed to cope with the increase in workload and reduction in cynicism about change. Cynicism about organisational change was found to have a direct negative effect on nurses' engagement which in turn was found to negatively impact job satisfaction. Our contribution to theory and practice arises from the discovery that the connections between organisational change, work environment variables, and job outcomes of nurses are more complicated than previous research suggests. Theoretical and practical implications will be discussed. CCAAT/enhancer-binding protein (C/ebp) is critical for osteoclastogenesis by regulating osteoclast (OC) lineage commitment and is also important for OC differentiation and function in vitro. However, the role of C/ebp in postnatal skeletal development has not been reported owing to lethality in C/ebp-/- mice from hypoglycemia within 8 hours after birth. Herein, we generated conditional knockout mice by deleting the C/ebp gene in monocyte via LysM-Cre to examine its role in OC differentiation and function. C/ebpf/f LysM-Cre mice exhibited postnatal osteopetrosis due to impaired osteoclastogenesis, OC lineage priming defects, as well as defective OC differentiation and activity. Furthermore, our ex vivo analysis demonstrated that C/ebp conditional deletion significantly reduced OC differentiation, maturation, and activity while mildly repressing macrophage development. At the molecular level, C/ebp deficiency significantly suppresses the expressions of OC genes associated with early stages of osteoclastogenesis as well as genes associated with OC differentiation and activity. We also identified numerous C/ebp critical cis-regulatory elements on the Cathepsin K promoter that allow C/ebp to significantly upregulate Cathepsin K expression during OC differentiation and activity. In pathologically induced mouse model of osteoporosis, C/ebp deficiency can protect mice against ovariectomy-induced bone loss, uncovering a central role for C/ebp in osteolytic diseases. Collectively, our findings have further established C/ebp as a promising therapeutic target for bone loss by concurrently targeting OC lineage priming, differentiation, and activity. © 2017 American Society for Bone and Mineral Research. Brain–computer interfaces (BCIs) are desirable for people to express their thoughts, especially those with profound disabilities in communication. time reduce the average spelling time from 12.62 to 6.78 iterations, approximately to two-fold faster. The experiments were conducted on a large public dataset which had been used in other related studies. Direct comparisons between our work with the others' are also reported in details. This paper proposes an efficient (semi-closed-form) zero-forcing (ZF) precoder design for the weighted sum-rate maximization problem under per-antenna power constraint (PAPC). Existing approaches for this problem are based on either interior-point methods that do not favorably scale with the problem size or subgradient methods that are widely known to converge slowly. To address these shortcomings, our proposed method is derived from three elements: minimax duality, alternating optimization (AO), and successive convex approximation (SCA). Specifically, the minimax duality is invoked to transform the considered problem into an equivalent minimax problem, for which we then recruit AO and SCA to find a saddle point, which enables us to take advantages of closed-form expressions and hence achieve fast convergence rate. Moreover, the complexity of the proposed method scales linearly with the number of users, compared to cubically for the standard interior-point methods. We provide an analytical proof for the convergence of the proposed method and numerical results to demonstrate its superior performance over existing approaches. Our proposed method offers a powerful tool to characterize the achievable rate region of ZF schemes under PAPC for massive multiple-input multiple-output. © 2018, © 2018 The Author(s). Published by Informa UK Limited, trading as Taylor & Francis Group. This article examines empirical links between a subordinate's felt recognition respect from his/her supervisor, the subordinate's appraisal respect for that supervisor, and bullying, work engagement, and organizational citizenship behaviour in Vietnam's public sector. Data from 274 employees in six branches of a public sector agency were used to test the hypothesized model. Within Vietnam's public sector, the followers who receive recognition respect from the leaders have greater appraisal respect for their leaders, experience less bullying, and reveal higher work engagement and organizational citizenship behaviour. This article theoretically and empirically contributes to the respect literature developed in the Western context. Currently, Wi-Fi (IEEE 802.11) is the most widely adopted wireless technology for mobile traffic offloading at hot spots. Despite its great success, Wi-Fi is constrained by the over-crowded unlicensed spectrum, which leads to poor user experience, especially in urban areas. This paper introduces an opportunistic cooperation framework that allows mobile service providers (MSPs) to offload traffic onto each other's network by harvesting short-lived spectrum/resources of cellular systems. Specifically, through traffic offloading, MSPs aim to maximize their profit while maintaining their quality of service (QoS) commitments. For that purpose, we model the strategic cooperation between MSPs as a stochastic Markov game in which the dynamics of resource availability and user behaviors are captured via a Markov decision process. We prove that the game is irreducible and admits a Nash Equilibrium at which all MSPs benefit from traffic offloading. A practical algorithm that uses only local information to govern traffic offloading at MSPs is then developed. Numerical simulations show that by designing appropriate profit sharing contracts, our proposed algorithm can achieve almost the same performance as that of a socially optimal solution. The derived traffic offloading strategies not only improve QoS and revenue for MSPs, but also can be used to guide MSPs on when to turn off their base stations while the traffic volume is light (e.g., during nighttime). We propose a distributed interference management method for a single-stream MIMO interference network that is tapped by an external eavesdropper. Along with its information signal, each legitimate transmitter creates a bogus signal, known as transmit-based friendly jamming (TxFJ), to confuse the eavesdropper. Although generating TxFJ protects the link from eavesdropping, it creates interference at other unintended but legitimate links. Using non-cooperative game theory, we design a distributed method for maximizing the sum of secrecy rates. Each link is a player in the game. It seeks to maximize its secrecy rate subject to a given information-rate constraint and power budget. The strategy profile of each player is to control the amount of TxFJ it generates. Because a pure non-cooperative game may not have Nash equilibria that result in (Pareto-)optimal secrecy sum-rate, we propose a modified price-based game, in which each link is penalized for generating interference on other legitimate links. Under the exact knowledge of eavesdropping channels, we show that the price-based game has a comparable secrecy sum-rate to a centralized approach. We then relax the assumption of knowledge of eavesdropping channels and leverage mixed-strategy games to provide robust solutions to the distributed secrecy sum-rate maximization problem. Mobile edge caching has emerged as a new paradigm to provide computing, networking resources, and storage for a variety of mobile applications. That helps achieve low latency, high reliability, and improve efficiency in handling a very large number of smart devices and emerging services (e.g., IoT, industry automation, virtual reality) in mobile 5G networks. Nonetheless, the development of mobile edge caching is challenged by the decentralized nature of edge nodes, their small coverage, limited computing, and storage resources. In this article, we first give an overview of mobile edge caching in 5G networks. After that, its key challenges and current approaches are discussed. We then propose a novel caching framework. Our framework allows an edge node to authorize the legitimate users and dynamically predicts and updates their content demands using the matrix factorization technique. Based on the prediction, the edge node can adopt advanced optimization methods to determine optimal content to store so as to maximize its revenue and minimize the average delay of its mobile users. Through numerical results, we demonstrate that our proposed framework provides not only an effective caching approach, but also an efficient economic solution for the mobile service provider. © 2017 Informa UK Limited, trading as Taylor & Francis Group. The bureaucratic and impersonal nature of public management can fertilize workplace bullying and risks for psychological health and safety. Psychological safety climate (PSC) is an important indicator to reduce psychological hazards. Yet, there have been few studies conducted to examine the existence of PSC in the public sector in non-Western economies. This study examined the implementation of PSC and its effects on 274 employees from six branches of a Vietnamese public sector organization. The results suggest that senior management in organizations should consider positive work conditions and an effective system of policies, procedures, and practices for the prevention of ps ychosocial hazards. We consider joint optimization of artificial noise (AN) and information signals in a MIMO wiretap interference network, wherein the transmission of each link may be overheard by several MIMO-capable eavesdroppers. Each information signal is accompanied with AN, generated by the same user to confuse nearby eavesdroppers. Using a noncooperative game, a distributed optimization mechanism is proposed to maximize the secrecy rate of each link. The decision variables here are the covariance matrices for the information signals and ANs. However, the nonconvexity of each link's optimization problem (i.e., best response) makes conventional convex games inapplicable, even to find whether a Nash equilibrium (NE) exists. To tackle this issue, we analyze the proposed game using a relaxed equilibrium concept, called quasi-NE (QNE). Under a constraint qualification condition for each player's problem, the set of QNEs includes the NE of the proposed game. We also derive the conditions for the existence and uniqueness of the resulting QNE. It turns out that the uniqueness conditions are too restrictive, and do not always hold in typical network scenarios. Thus, the proposed game often has multiple QNEs, and convergence to a QNE is not always guaranteed. To overcome these issues, we modify the utility functions of the players by adding several specific terms to each utility function. The modified game converges to a QNE even when multiple QNEs exist. Furthermore, players have the ability to select a desired QNE that optimizes a given social objective (e.g., sum rate or secrecy sum rate). Depending on the chosen objective, the amount of signaling overhead as well as the performance of resulting QNE can be controlled. Simulations show that not only can we guarantee the convergence to a QNE, but also due to the QNE selection mechanism, we can achieve a significant improvement in terms of secrecy sum rate and power efficiency, especially in dense networks. Dental caries is the most widespread chronic infectious disease. Inflammation in pulp tissues caused by dental caries will lead to periapical granulomas, bone erosion, loss of the tooth, and severe pain. Despite numerous efforts in recent studies to develop effective treatments for dental caries, the need for a potent therapy is still urgent.In this study, we applied a gene-based therapy approach by administering recombinant adeno-associated virus (AAV)-mediated Atp6v0d2 (d2) RNA interference knockdown of d2 gene expression to prevent periapical bone loss and suppress periapical inflammation simultaneously.The results showed that d2 depletion is simultaneously capable of reducing bone resorption with 75% protection through reducing osteoclasts, enhancing bone formation by increasing osterix expression, and inhibiting inflammation by decreasing T-cell infiltration. Notably, AAV-mediated gene therapy of d2 knockdown significantly reduced proinflammatory cytokine expression, including tumor necrosis factor , interferon-, interleukin-1, and interleukin 6 levels in periapical diseases caused by bacterial infection. Quantitative real-time polymerase chain reaction revealed that d2 knockdown reduced osteoclast-specific functional genes (ie, Acp5 and Ctsk) and increased osteoblast marker genes (ie, Osx and Opg) in periapical tissues.Collectively, our results showed that AAV-mediated d2 depletion in the periapical lesion area can prevent the progression of endodontic disease and bone erosion while significantly reducing the inflammatory over-response. These findings show that the depletion of d2 simultaneously reduces bone resorption, enhances bone formation, and inhibits inflammation caused by periapical diseases and provide significant insights into the potential effectiveness of AAV-sh-d2-mediated d2 silencing gene therapy as a major endodontic treatment. Freezing of gait (FoG) is common in Parkinsonian gait and strongly relates to falls. Current clinical FoG assessments are patients' self-report diaries and experts' manual video analysis. Both are subjective and yield moderate reliability. Existing detection algorithms have been predominantly designed in subject-dependent settings. In this paper, we aim to develop an automated FoG detector for subject independent. After extracting highly relevant features, we apply anomaly detection techniques to detect FoG events. Specifically, feature selection is performed using correlation and clusterability metrics. From a list of 244 feature candidates, 36 candidates were selected using saliency and robustness criteria. We develop an anomaly score detector with adaptive thresholding to identify FoG events. Then, using accuracy metrics, we reduce the feature list to seven candidates. Our novel multichannel freezing index was the most selective across all window sizes, achieving sensitivity (specificity) of 96% (79%). On the other hand, freezing index from the vertical axis was the best choice for a single input, achieving sensitivity (specificity) of 94% (84%) for ankle and 89% (94%) for back sensors. Our subject-independent method is not only significantly more accurate than those previously reported, but also uses a much smaller window (e.g., 3 s versus 7.5 s) and/or lower tolerance (e.g., 0.4 s versus 2 s). © 1983-2012 IEEE. We consider joint optimization of artificial noise (AN) and information signals in a MIMO wiretap interference network, wherein the transmission of each link may be overheard by several MIMO-capable eavesdroppers. Each information signal is accompanied with AN, generated by the same user to confuse nearby eavesdroppers. Using a noncooperative game, a distributed optimization mechanism is proposed to maximize the secrecy rate of each link. The decision variables here are the covariance matrices for the information signals and ANs. However, the nonconvexity of each link's optimization problem (i.e., best response) makes conventional convex games inapplicable, even to find whether a Nash equilibrium (NE) exists. To tackle this issue, we analyze the proposed game using a relaxed equilibrium concept, called quasi-NE (QNE). Under a constraint qualification condition for each player's problem, the set of QNEs includes the NE of the proposed game. We also derive the conditions for the existence and uniqueness of the resulting QNE. It turns out that the uniqueness conditions are too restrictive, and do not always hold in typical network scenarios. Thus, the proposed game often has multiple QNEs, and convergence to a QNE is not always guaranteed. To overcome these issues, we modify the utility functions of the players by adding several specific terms to each utility function. The modified game converges to a QNE even when multiple QNEs exist. Furthermore, players have the ability to select a desired QNE that optimizes a given social objective (e.g., sum rate or secrecy sum rate). Depending on the chosen objective, the amount of signaling overhead as well as the performance of resulting QNE can be controlled. Simulations show that not only can we guarantee the convergence to a QNE, but also due to the QNE selection mechanism, we can achieve a significant improvement in terms of secrecy sum rate and power efficiency, especially in dense networks. Auction-based spectrum sharing is a promising solution to improve the spectrum utilization in 5G networks. Along with the spatial reuse, we observe that the ability to adjust the coverage of a spectrum bidder can provide room to itself for further negotiation while auctioning. In this paper, we propose a novel economic tool, size-negotiable auction mechanism (SNAM), which provides a hybrid solution between auction and negotiation for multi-buyers sharing spectrum chunks from a common database. Unlike existing auction-based spectrum sharing models, each bidder of the SNAM submits its bid for using the spectrum per unit space and a set of coverage ranges over which the bidder is willing to pay for the spectrum. The auctioneer then coordinates the interference areas (or coverage negotiation) to ensure no two winners interfere with each other while aiming to maximize the auction's total coverage area or revenue. In this scenario, the undirected graph used by existing auction mechanisms fails to model the interference among bidders. Instead, we construct a mixed interference graph and prove that SNAM's auctioning on the mixed graph is truthful and individually rational. Simulation results show that, compared with existing auction approaches, the proposed SNAM dramatically improves the spatial efficiency, hence leads to significantly higher seller revenue and buyer satisfaction under various setups. Thanks to its low complexity and low overhead, SNAM can target fine timescale trading (in minutes or hours) with a large number of bidders and requested coverages. Pham, T.T., Moore, S., Lewis, S., Fuglevand, A.J., Nguyen, D.N., Dutkiewicz, E., McEwan, A.L. & Leong, P.H.W. 2016, 'Freezing of Gait Detection in Parkinson's Disease: Feature Review and Subject-Independent Detection Using Anomaly Scores', submitted to IEEE TBME. Household studies provide opportunities to understand influenza-like-illness (ILI) transmission, but data from (sub)tropical developing countries are scarce.To determine the viral etiology and epidemiology of ILI in households.ILI was detected by active case finding amongst a cohort of 263 northern Vietnam households between 2008 and 2013. Health workers collected nose and throat swabs for virus detection by multiplex real-time RT-PCR.ILI was detected at least once in 219 (23.7%) of 945 household members. 271 (62.3%) of 435 nose/throat swabs were positive for at least one of the 15 viruses tested. Six viruses predominated amongst positive swabs: Rhinovirus (28%), Influenza virus (17%), Coronavirus (8%), Enterovirus (5%), Respiratory syncytial virus (3%), Metapneumovirus virus (2.5%) and Parainfluenza virus 3 (1.8%). There was no clear seasonality, but 78% of episodes occurred in Winter/Spring for Influenza compared to 32% for Rhinovirus. Participants, on average, suffered 0.49 ILI, and 0.29 virus-positive ILI episodes, with no significant effects of gender, age, or household size. In contrast to US and Australian community studies, the frequency of ILI decreased as the number of household members aged below 5 years increased (p=0.006).The findings indicate the need for tailored ILI control strategies, and for better understanding of how local childcare practices and seasonality may influence transmission and the role of children. Due to unpredictable geological outdoor environments and imbalances in energy consumption of seismometer nodes in the wireless seismic sensor networks (WSSN), some seismometer nodes fail much earlier than others due to power loss. This would cause hot spot problems, network partitions, and significantly shorten network lifetime. In this paper, we designed an energy-balanced routing algorithm (EBRA) to ensure balanced energy consumption from all seismometer nodes in the WSSN and to enhance the connectivity and lifetime of the WSSN. By aiming at minimizing the imbalance in the residual energy, we divide the routing algorithm into two parts: clustering formation and inter-cluster routing. In clustering formation, we design an energy-balanced clustering algorithm, which selects the cluster head dynamically, based on residual energy, distance between the seismometer node and data collector. The clustering algorithm mitigates hot spot problems by balancing energy consumption among seismometer nodes. In regards to inter-cluster routing, we can relate it to the pareto-candidate set. To reduce the average multi-hop delay from cluster heads to the data collector, we optimize the pareto-candidate set by Hamming distance. In the design of EBRA, we consider minute details such as energy consumed by transmitting bits and impact of average multi-hop delay. This adds to the novelty of this work compared to the existing studies. Simulation results demonstrated a reduction in the average multi-hop delay by 87.5% with network size of 200 nodes in ten different data collector locations. Our algorithm also improves the network lifetime over the others three schemes by 7.8%, 23% and 45.4%, respectively. Dynamic spectrum access (DSA) and MIMO communications are among the most promising solutions to address the ever increasing wireless traffic demand. An integration that successfully embraces the two is far from trivial due to the dynamics of spectrum opportunities as well as the requirement to jointly optimize both spectrum allocation and spatial/antenna pattern in a distributed fashion. Regardless of spectrum dynamics and heterogeneity, existing literature on channel/power allocation in MIMO DSA systems is only applicable to centralized cases. Our objective here is to design distributed algorithms that jointly allocate opportunistic channels to various links and to simultaneously optimize the MIMO precoding matrices so as to achieve fairness or maximize network throughput. For self-interested DSA links, our distributed algorithm allows links to negotiate channel allocation based on Nash bargaining (NB) and configure the precoding matrices so that links' rate demands are guaranteed while the surplus resources (after meeting minimum rate demands) are fairly allocated. Next, we consider a network throughput maximization formulation (NET-MAX). Both the NB-based and NET-MAX problems are combinatorial with mixed variables. To tackle them, we first transform the original problems by incorporating the concept of timesharing. Using dual decomposition, we develop optimal distributed algorithms for timesharing case, which shed light on how to derive a distributed algorithm for the original problems. Our work fills a gap in the literature of channel allocation where a central controller is not available. Nguyen, D., Teo, S. & Mylett, T. 2014, 'An exploration of the roles of HR departments in Vietnam', Journal of General Management, vol. 39, no. 2, pp. 83-113. This study explores the roles of human resource departments in Vietnam. Semi-structured interviews were conducted with 15 human resource and line managers. Data were analysed using the repertory grid approach. There was divergence in the roles performed by human resource departments between foreign and local enterprises. The role framework of human resources developed in Western economies was perceived to be present in foreign investment enterprises, but not identified in privately-owned enterprises. Human resource departments in privately-owned organisations were perceived to be more administratively-oriented. In addition, the present study supports the notion that multiple stakeholders perceive differently the strategic and value-added role of human resource departments in organisations. © 2014 The Braybrooke Press Ltd.Journal of General Management. To evaluate the use of mycobacterial blood cultures (MBC) in diagnosing tuberculosis (TB) in patients with prolonged fever admitted to a Vietnamese referral hospital.MBCs from 94 patients (66% male; median age 33 years; 75% HIV positive) were evaluated: 14 were mycobacterium positive (all HIV positive), and MBC was the only positive specimen in 9 cases (41%). Three positive cases were identified as Mycobacterium avium and the remaining M. tuberculosis (one case could not be identified).MBC can be a valuable additional method to diagnose TB, particularly in immunosuppressed HIV patients when sputum cannot be collected. We explore the use of cooperative multi-input multi-output (MIMO) communications to prolong the lifetime of a wireless sensor network (WSN). Single-antenna sensor nodes are clustered into virtual antenna arrays that can act as virtual MIMO (VMIMO) nodes. We design a distributed cooperative clustering protocol (CCP), which exploits VMIMO's diversity gain by optimally selecting the cooperating nodes (CNs) within each cluster and balancing their energy consumption. The problem of optimal CN selection at the transmit and receive clusters is formulated as a nonlinear binary program. Aiming at minimizing the imbalance in the residual energy at various nodes, we decompose this problem into two subproblems: finding the optimal number of CNs (ONC) in a cluster and the CN assignment problem. For the ONC problem, we first analyze the energy efficiency of two widely used VMIMO methods: distributed Space Time Block Code (DSTBC) and distributed Vertical-Bell Laboratories-Layered-Space-Time (DVBLAST). Our analysis provides an upper bound on the optimal number of CN nodes, which greatly reduces the computational complexity of the ONC problem. The second subproblem is addressed by assigning CNs based on the residual battery energy. To make CCP scalable to large WSNs, we propose a multihop energy-balanced routing mechanism for clustered WSNs (C-EBR) with a novel cost metric. Finally, we derive sufficient conditions on the intra- and intercluster ranges, under which CCP guarantees connectivity of the intercluster topology. Extensive simulations show that the proposed approach dramatically improves the network lifetime. Cooperative multiple-input multiple-output (CMIMO) is a form of cooperative communications. CMIMO emulates the functionality of multi-antenna systems by grouping wireless devices to operate as virtual multi-antenna nodes. Its main objectives are to boost network throughput, conserve energy, and improve network coverage. In this article, we discuss recent applications of CMIMO in contemporary wireless networks, including wireless sensor, mobile ad hoc, wireless LAN, cognitive, and cellular networks. We first review CMIMO techniques at the physical layer. We then focus on state-of-the-art approaches for realizing CMIMO at the network layer, and classify these approaches based on their objectives and application scenarios, and how they exploit CMIMO gains. We highlight several open issues that present challenges to practical deployment of CMIMO. © 1986-2012 IEEE. Influenza viruses cause significant morbidity and mortality in adults each winter. At the same time, other respiratory viruses circulate and cause respiratory illness with influenza-like symptoms. Human respiratory syncytial virus (HRSV), human parainfluenza viruses (HPIV) and human metapneumovirus have all been associated with morbidity and mortality in adults, including nosocomial infections. This study evaluated 154 respiratory specimens collected from adults with influenza-like/acute respiratory illness (ILI) seen at the Edward Hines Jr VA Hospital, Hines, IL, USA, during two successive winters, 1998-1999 and 1999-2000. The samples were tested for ten viruses in two nested multiplex RT-PCRs. One to three respiratory viruses were detected in 68 % of the samples. As expected, influenza A virus (FLU-A) infections were most common (50 % of the samples), followed by HRSV-A (16 %). Surprisingly, HPIV-4 infections (5.8 %) were the third most prevalent. Mixed infections were also relatively common (11 %). When present, HPIV infections were approximately three times more likely to be included in a mixed infection than FLU-A or HRSV. Mixed infections and HPIV-4 are likely to be missed using rapid diagnostic tests. This study confirms that ILI in adults and the elderly can be caused by HRSV and HPIVs, including HPIV-4, which co-circulate with FLU-A. Indium-111 octreotide scintigraphy is a useful investigation in the diagnosis and staging neuroendocrine or nonendocrine malignancies such as carcinoid, granulomas, small cell lung cancer, medullary thyroid carcinoma, and others. Tumors with large numbers of somatostatin receptors can be accurately imaged and this can be useful in guiding treatment. Although uncommon, false-positives studies have been reported and often the cause is unexplained but assumed to be a high number of somatostatin receptors in other pathology. We present a case with increased uptake resulting in a scan due to pulmonary fibrosis. Interferon-alpha therapy is well known to induce a wide range of thyroid dysfunction. A 22-year-old woman with chronic hepatitis C developed overt hyperthyroidism while on interferon-alpha and ribavirin therapy. Tc-99m thyroid scintigraphy demonstrated virtually absent tracer uptake consistent with subacute thyroiditis. Ten months after starting antiviral therapy, overt hyperthyroidism recurred. Repeat thyroid scintigraphy revealed diffusely increased tracer uptake throughout the thyroid gland consistent with Graves disease. This is an unusual case of 2 forms of hyperthyroidism-confirmed scintigraphically and occurring in the same patient over time while on interferon-alpha therapy. We propose a two dimension (2D) proactive uplink resource allocation (2D-PURA) algorithm that aims to reduce the delay/latency in event-based machine-type communications (MTC) applications. Specifically, when an event of interest occurs at a device, it tends to spread to the neighboring devices. Consequently, when a device has data to send to the base station (BS), its neighbors later are highly likely to transmit. Thus, we propose to cluster devices in the neighborhood around the event, also referred to as the disturbance region, into rings based on the distance from the original event. To reduce the uplink latency, we then proactively allocate resources for these rings. To evaluate the proposed algorithm, we analytically derive the mean uplink delay, the proportion of resource conservation due to successful allocations, and the proportion of uplink resource wastage due to unsuccessful allocations for 2D-PURA algorithm. Numerical results demonstrate that the proposed method can save over 16.5 and 27 percent of mean uplink delay, compared with the 1D algorithm and the standard method, respectively. Both Federal Communications Commission (FCC) and European Telecommunications Standards Institute (ETSI) support dynamic spectrum access (DSA) as an enabling technology for spectrum sharing. To effectively realize DSA in practice, users (from both defense and civil sectors) are required to share their (radio) operational information. That risks exposing their security, privacy, and business plan to unintended agents. In this paper, taking FCC's spectrum access system (SAS) as a study case, we propose a privacy-preserving scheme for DSA by leveraging encryption and obfuscation methods (PSEO). To implement PSEO, we propose an interference calculation scheme that allows users to calculate interference budget without revealing their operation information (e.g., antenna height, transmit power, location...), referred to as blind interference calculation method (BICM). BICM also reduces the computing overhead of PSEO, compared with FCC's SAS by moving interference budgeting tasks to local users and calculating it in an offline manner. Extensive detailed analysis and simulations show that our proposed PSEO is able to better protect all users' operational privacy, guaranteeing efficient spectrum utilization with less online overhead, compared with state of the art approaches. The development of mobile cloud computing has brought many benefits to mobile users as well as cloud service providers. However, mobile cloud computing is facing some challenges, especially security-related problems due to the growing number of cyberattacks which can cause serious losses. In this paper, we propose a dynamic framework together with advanced risk management strategies to minimize losses caused by cyberattacks to a cloud service provider. In particular, this framework allows the cloud service provider to select appropriate security solutions, e.g., security software/hardware implementation and insurance policies, to deal with different types of attacks. Furthermore, the stochastic programming approach is adopted to minimize the expected total loss for the cloud service provider under its financial capability and uncertainty of attacks and their potential losses. Through numerical evaluation, we show that our approach is an effective tool in not only dealing with cyberattacks under uncertainty, but also minimizing the total loss for the cloud service provider given its available budget. © 2018 IEEE. We develop a novel time series feature extraction technique to address the encrypted traffic/application classification problem. The proposed method consists of two main steps. First, we propose a feature engineering technique to extract significant attributes of the encrypted network traffic behavior by analyzing the time series of receiving packets. In the second step, we develop a deep learning-based technique to exploit the correlation of time series data samples of the encrypted network applications. To evaluate the efficiency of the proposed solution on the encrypted traffic classification problem, we carry out intensive experiments on a raw network traffic dataset, namely VPN-nonVPN, with three conventional classifier metrics including Precision, Recall, and F1 score. The experimental results demonstrate that our proposed approach can significantly improve the performance in identifying encrypted application traffic in terms of accuracy and computation efficiency. Wearable monitoring systems have been in need for studies of gaits especially freezing of gait detection in patients with Parkinson's disease. The causality of gait freezing is still not fully understood. The histogram of gait freezing is the key assessment of the disease, thus monitoring them in patients' daily life is much appreciated. A real-time signal processing platform for wearable sensors can help record freezing time instances. However, current monitor systems are calibrated with offline training (patient-dependent) that is cumbersome and time-consuming. In this work, by using acceleration data and spectral analysis, we propose an online/real-time detection technique. Periods of low acceleration and low spectral coherence are identified and patient-independent parameters are then extracted. Using this set of new features, we validated our method by comparing it with clinicians' labels. The proposed approach achieved an overall mean (±SD) sensitivity (specificity) of 87 ± 0.3% (94±0.3%). To our best knowledge, this is the best performance for automated subject-independent approaches. In brain-computer interface (BCI) research, there must be a trade-off between accuracy and speed of the BCI system, especially those based on event-related potentials (ERPs). This paper proposes a novel method which can significantly increase the spelling bit rate while also maintaining the desired accuracy. We provide an adaptive real-time stopping method based on the scores of ensemble support vector machine classifiers. We apply a criteria assessment process on the classifiers' scores to dynamically stop the ERP-evoked paradigms at any flashing sequence. Our experiments were conducted on three different P300-Speller data sets (BCI Competition II, BCI Competition III and Akimpech). Our proposed framework significantly outperformed the related state-of-the-art studies in terms of character output accuracy and elicitation bit rate rise between static and dynamic stopping schemes. We improve the average bit rate by over 80% while perfectly maintaining the best original static accuracy of over 96%. Vo, K., Nguyen, D., Ha, K. & Dutkiewicz 2017, 'Subject-Independent P300 BCI using Ensemble Classifier, Dynamic Stopping and Adaptive Learning', IEEE Global Communications Conference (GLOBECOM), Singapore. © 2017 IEEE. Text readability has an important role in text drafting and document selecting. Researches on the readability of the text have been made long ago for English and some common languages. There are few studies in Vietnamese text readability and most of them are performed from more than two decades ago on very small corpora. Most of the studies in text readability have few mentions of the impact of the text length in evaluating the text. This paper presents our works on examining the role of text length in assessing the readability. The experiment results show that the features related to the text length have a huge impact on Vietnamese text readability assessment for textbooks. Increasingly, trust has played a crucial role in the security of an IoT system from its inception to the end of its lifecycle. A device has to earn some level of trust even before it is authenticated for admission to the system. Furthermore, once the device is admitted to the system, it may behave maliciously over time; hence its behavior must be evaluated constantly in the form of trust to ensure the integrity of the system. Currently, no mechanism exists to establish an initial trust on a device, without prior knowledge, before its admission to an IoT system. Even when trust is applicable, trust evaluation models require direct/indirect observations over time, historical data on past encounters, or third party recommendations. However, this type of past data is not available in the first encounter between the system and the device. The question is how to establish whether a device can be trusted to a level that merits further evaluation for admission into a mobile and dynamic IoT system when it encounters the system for the first time? This paper addresses this challenge by proposing a challenge-response method and a trust assessment model to establish, without prior knowledge, the initial trust that a device places on another in a mobile and dynamic environment called personal space IoT. The initial trust is established before further interaction can take place and under the assumption that only a limited window of time is available for the trust assessment. The paper describes and evaluates the proposed model theoretically and by simulation. It also describes a practical scheme for realizing the proposed solution. Brain-computer interfaces (BCIs) are used to assist people, especially those with verbal or physical disabilities, communicate with the computer to indicate their selections, control a device or answer questions only by their mere thoughts. Due to the noisy nature of brain signals, the required time for each experimental session must be lengthened to reach satisfactory accuracy. This is the trade-off between the speed and the precision of a BCI system. In this paper, we propose a unified method which is the integration of ensemble classifier, dynamic stopping, and adaptive learning. We are able to both increase the accuracy, as well as to reduce the spelling time of the P300-Speller. Another merit of our study is that it does not require the training phase for any new subject, hence eliminates the extensively time-consuming process for learning purposes. Experimental results show that we achieve the averaged bit rate boost up of 182% on 15 subjects. Our best achieved accuracy is 95.95% by using 7.49 flashing iterations and our best achieved bit rate is 40.87 bits/min with 83.99% accuracy and 3.64 iterations. To the best of our knowledge, these results outperformed most of the related P300-based BCI studies. We designed, fabricated, and experimented a quad-band Double-PIFA (Planar Inverted-F Antenna) for Internet of Things (IoT) applications. Using the Double-PIFA structure allowed us to fabricate the antenna easily and optimize the operating bands for desired frequencies. Combining DGS (Defected Ground Structure) and two shorting pin of PIFA structure, the antenna is compact in size with radiating patch of 184 mm2 basing on RO4350B substrate with height of 1.52 mm. Operating at 900MHz, 1.8GHz, 2.6GHz and 5GHzwith large bandwidth of 6.67%, 11.11%, 5.77% and 16%, respectively. As the proposed antenna can operate for ZigBee, Z-Wave, RFID (Radio-Frequency Identification), WLAN (Wireless Local Area Network), and LTE-A (Long Term Evolution - Advanced), it is suitable for both IoT devices and wide-band wireless communication systems. To augment capacity of spectrum limited cellular systems, 3GPP proposed Licensed Assisted Access (LAA-LTE) while efforts are underway to standardize the standalone MulteFire (a small cell standalone version of LTE). LAA is expected to boost capacity of LTE via unlicensed spectrum (5GHz). On the other hand, recent advances in Self Interference Suppression (SIS) techniques allow radios to transmit and receive simultaneously on the same channel (i.e., in-band Full-Duplex, FD). As part of future wireless networks, Device-to-device (D2D) communications would find its great potential through this FD capability. However, due to high induced aggregate interference from FD and its impact on medium access probability, the rigorous and critical analysis is needed to find an optimum trade-off between performance efficiency and overheads. Using stochastic geometry and the random graph theory, in this article, we analyze the impact of different LTE network paradigms with HD/FD D2D devices. Moreover, the impact of state- of-the-art coexistence techniques (discontinuous transmission and listen-before-talk) recommended for LTE in unlicensed spectrum over HD/FD D2D network is also discussed. The analysis is supported with extensive simulation results that reveal insights of the coexistence mechanism efficiency employed by LTE, the impact of SIS and the cost of FD operation in D2D. We consider an interference network tapped by external eavesdropper(s) in which each legitimate transmit-receive pair conceals its communications by using joint transmit-based friendly jamming (TxFJ) and receiver-based friendly jamming (RxFJ). Specifically, TxFJ is realized at the transmit side using MIMO precoding while RxFJ is achieved at the receiver side of each link by leveraging the state-of-the-art self-interference-suppression techniques (allowing a radio to cancel the self-interference effect of its transmit signal). We show that with a careful power allocation between the information signal and TxFJ at the transmit side of each link, the corresponding receiver is able decide on using RxFJ independent of any multi-user interference factor. This ability sets the receivers free from having to measure multi-user interference at eavesdropper(s). With every link following such strategy, we model this interaction as a non-cooperative game. We derive sufficient conditions under which the game admits a unique Nash equilibrium. We then propose a robust version of the game that requires only statistical knowledge of eavesdropping channel. Privacy has been regarded as one of the most critical issues in light of promoting the development of centralized spectrum management, hence attracting wide attention. However, researchers in the current literature are usually protecting users' privacy based on the assumption that all users are honest, which is reasonable but not practical. In this paper, we investigate the privacy issue among different tiers of users in the centralized spectrum access system (SAS), mainly focusing on honest Priority Access Licenses (PALs) and dishonest General Authorized Accesses (GAAs). To that end, we propose an authentication scheme to prevent GAAs from using other users' information by the aid of a public key cryptosystem. Moreover, we propose a 'punishment and forgiveness' scheme, which draws support from GAAs' reputation stores (RSs) and reputation histories (RHs), to encourage GAAs to engage in positive and true activities. Besides, we propose a privacy preservation scheme cooperating with the 'punishment and forgiveness' scheme (PS-PFS) in order to effectively mitigate the impact of dishonest users while fully preserving all users' privacy as well as successfully realizing spectrum sharing. Motivated by recent efforts in enabling economic models for spectrum sharing systems, in particular, for the Spectrum Access System in the US, we propose a game theoretic analysis of sublicensing between two types of access methods in such system - PAL and GAA. The aim of this paper is to illustrate how the operators' strategies affect their own payoffs and the overall utility in the Sublicenseing Game in a spectrum sharing system. We consider the problem of spectrum sharing among multiple operators who have to pay for a temporary PAL sublicense with the exclusive right to the PAL band or stay in the GAA band and share the spectrum for free with other GAA users. We first formulate this scenario as a noncooperative game, and then study the existence of a Nash equilibrium. Finally, to reduce the overall utility loss we let the spectrum sharing platform to coordinate individual operators by forming pair coalitions for them. According to our findings, when an operator has a large number of subscribers GAA band is the best response and a high PAL sublicense price holds back operators to access the PAL band. Additionally, making equal coalitions among operators can avoid overall utility loss. Full duplex (FD) capability enables a "listen and talk" protocol for spectrum sensing that has been used as a new paradigm to increase the spectrum utilization in cognitive radio networks (CRNs). However, the spectrum sensing performance suffers from the imperfect self-interference suppression (SIS). This could significantly degrade the performance of FD systems in CRNs. In this paper, we investigate the issue of spectrum sensing with imperfect SIS in FD systems. By drawing support from a cyclic prefix (CP) of Orthogonal Frequency Division Modulation (OFDM) signals, we propose a novel spectrum sensing mechanism that is robust to self- interference. Comparing with other conventional sensing approaches in FD systems, the proposed method is independent of timing delay. That significantly improves the sensing performance, even without requiring a complex process for timing delay estimation. As a result, it also reduces the overhead of spectrum sensing. Extensive simulation results indicate that even with serious self-interference and timing delay, the presented approach is still able to achieve much higher performance than the conventional energy detection and waveform-based detection approaches. a promising lung function test, is to remove respiratory artefacts. another patient and even within the same recording of a patient. feature inputs selected by mutual information criterion. Siyari, P., Krunz, M. & Nguyen, D.N. 2016, 'Distributed Optimization of Artificial-Noise Aided Transmission in MIMO Wiretap Interference Channel', IEEE Globe Communications Conference (GLOBECOM), Washington DC, US. This paper reviews the state of the art of a polyphase complex filter for RF front-end low-IF transceivers applications. We then propose a multi-stage polyphase filter design to generate a quadrature I/Q signal to achieve a wideband precision quadrature phase shift with a constant 90 ° phase difference for self-interference cancellation circuit for full duplex radio. The number of the stages determines the bandwidth requirement of the channel. An increase of 87% in bandwidth is attained when our design is implemented in multi-stage from 2 to an extended 6 stages. A 4-stage polyphase filter achieves 2.3 GHz bandwidth. © 2016 IEEE.The article considers the joint optimization of artificial noise (AN) and information signal precoders in a MIMO wiretap interference network where the transmission of each user may be overheard by several MIMO-capable eavesdroppers. We use the theory of non-cooperative games to propose a distributed framework to optimize the covariance matrices of the information signal and AN at each link. To tackle the non-convexity of each link/player's optimization problem, we recruit a relaxed equilibrium concept in game theory, called quasi-Nash equilibrium (QNE). Under the assumption of no coordination between links, we derive sufficient conditions for the existence and uniqueness of the resulting QNE. It turns out that the uniqueness of QNE is not always guaranteed, especially in the case of high interference. Hence, multiple QNEs might exist, and an ordinary updating process (e.g., Gauss-Seidel, Jacobi, or asynchronous update) does not guarantee the convergence to a QNE. Instead, by using the Tikhonov regularization method for variational inequality problems, we modify our algorithm to guarantee the game's convergence to a QNE even in the case of having multiple QNEs. The modified algorithm also allows the links to select between multiple QNEs so as to reduce the received interference at the legitimate receivers. Simulations are then used to confirm the above theoretical findings and the efficacy (in terms of secrecy sum-rate, convergence guarantee, and energy efficiency) of the latter algorithm. In this paper, we expand the scope of PHY-layer security by investigating TX-based friendly jamming (FJ) for the wiretap channel in multi-link settings. For the single-link scenario, creating a TX-based FJ is an effective and practical method in improving the secrecy rate. In a multi-link setting, several information signals must be transmitted simultaneously. Thus, the design must guarantee that the FJ signal of a given transmitter does not interfere with unintended but legitimate receivers. Under the assumption of exact knowledge of the eavesdropping channel, we first propose a distributed price-based approach to improve the secrecy sum-rate of a two-link network with one eavesdropper while satisfying an information-rate constraint for both link. Simulations show that price-based FJ control outperforms greedy FJ, and is close to the performance of a centralized approach. Next, we propose a method based on mixed strategic games that can offer robust solutions to the distributed secrecy sum-rate maximization problem under the assumption of an unknown eavesdropping channel. Lastly, we use simulations to show that in addition to outperforming the greedy approach, our robust optimization also satisfies practical network considerations. In particular, the transmission time for the robust optimization can be determined flexibly to match the channel's coherence time. Accurate and efficient channel estimation methods have the ability to realize the theoretical gain in multi-input multi-output (Massive MIMO) systems which have a massive number of antennas. However, the pilot contamination in Massive MIMO channel estimation process, rooted from the pilot reuse, is a critical problem that severely degrades the performance of the system. This work aims to address the problem of pilot contamination in covariance-aided channel estimation methods while considering practical scenarios where the channel covariance matrices change due to a new user arrival and users mobility. To that end, we first design a method to track the channel covariance matrices and then use these estimated values in Bayesian estimation. Simulation results indicate that the normalized mean square error (NMSE) for both channel covariance matrices and the CSI itself of our proposed methods are much lower than those of classical methods based on least square (LS) and Bayesian estimation. Additionally, for the case that users move slowly (e.g., at walking speed), our proposed method can provide satisfactory performance for more than three times as much as classical Bayesian estimation before system re-train channel covariance matrices. In other words, compared with classical Bayesian methods, our proposed methods are able to get good system performance with less overhead and complexity by a lower frequency of re-training process. © 2015 IEEE. This work introduces a novel cooperation framework that allows mobile service providers (MSPs) to offload traffic onto each other so that temporarily unused spectrum/resources of cellular bands can be opportunistically harvested. Specifically, through traffic offloading, MSPs aim to maximize their profit while maintaining their QoS commitment. For that purpose, we model the strategic cooperation between MSPs as a stochastic Markov game in which the dynamics of MSPs' resources and user behaviors are captured by an underlying Markov decision process. We prove that the game is irreducible and admits a Nash Equilibrium at which all MSPs benefit from traffic offloading. A practical algorithm that uses only local information to govern traffic offloading at MSPs is then developed. Numerical simulations show that by designing appropriate profit sharing contracts, this algorithm can achieve almost the same performance as that of a socially optimal solution. We are concerned with the throughput of a full-duplex (FD) MIMO network. Unlike conventional half-duplex (HD) MIMO, two wireless devices of a bidirectional FD-MIMO link have freedom of selecting which antennas/RF-chains to transmit or receive before tuning their radiation patterns to maximize the link's throughput. The freedom in configuring the function of available RF-chains, resulting in various FD-MIMO transmission modes, is referred to as FD-MIMO freedom that is shown to significantly improve the spectral efficiency of a given link. For a given RF-chain/antenna selection of a set of FD-MIMO links, we end up with a non-convex throughput maximization problem of a heterogeneous MIMO network. We design both centralized (using the augmented Lagrange function) and distributed algorithm (using a hierarchical game and pricing) to solve the problem for its locally optimal solutions. Comparing the achieved throughput of the FD-MIMO network, averaged over all obtained locally optimal solutions, with that when FD-MIMO nodes choose to operate in an HD mode, we find the HD mode surprisingly outperforms the FD mode. This trend is also observed when exploring all possible communication modes of a small size FD-MIMO network. © 2014 IFIP. Dynamic spectrum access and MIMO technologies are among the most promising solutions to address the ever increasing wireless traffic demand. An integration that successfully embraces the two is far from trivial due to the dynamics of spectrum opportunities as well as the requirement to jointly optimize both spectrum and spatial/antenna dimensions. Our objective in this paper is to jointly allocate opportunistic channels to various links such that no channel is allocated to more than one link, and to simultaneously optimize the MIMO precoding matrices under the Nash bargaining (NB) framework. We design a low-complexity distributed scheme that allows links to propose their minimum rate requirements, negotiate the channel allocation, and configure their precoding matrices. Simulations confirm the convergence of the distributed algorithm under timesharing to the globally optimal solution of the NB-based problem. They also show that the NB-based algorithm achieves much better fairness than purely maximizing network throughput. We are interested in addressing a fundamental question: what are conditions under which an ad hoc cognitive radio MIMO (CMIMO) network can support a given rate-demand profile, defined as the set of rates requested by individual links? From an information theoretic view, a rate profile can be supported if it is within the network capacity region. However, the network capacity region of interfering MIMO networks is essentially unknown. In dynamic spectrum access, the problem is even more challenging due to the dynamics of primary/legacy users (PUs), resource constraints, and the heterogeneity of opportunistic spectrum (i.e., the set of available channels varies from one to another). Considering a non-centralized setup, we address the above question in a noncooperative game framework where each CMIMO link independently optimizes its spectrum, power allocation, and MIMO precoders to meet its rate demand. We derive sufficient conditions for the existence of a NE are derived. These conditions establish an explicit relationship between the rate-demand profile and interference from PUs, CMIMO network's interference, and CMIMO nodes' power budget. We also show that a NE, if exists, is unique. Our results help to characterize the network capacity region of CMIMO networks. © 2013 IEEE. We consider the problem of minimizing network's transmit power for given transmission rate demands of all links in a multi-input multi-output (MIMO) ad hoc network. The problem is nonconvex, hence, challenging to be solved, even in a centralized manner. To derive a distributed solution, we reformulate the problem as a noncooperative game. We then propose a network interference function (NIF) that captures the total interference incurred at unintended receivers by all transmitters. The proposed NIF sets the light for designing transmitter-dependent pricing policies for the above game. A price-based iterative water-filling algorithm (PIWF) is proposed to find MIMO precoding matrices, which determines both beam directions and transmission power allocation among antennas (or data streams) at each transmitter. Simulations show that PIWF is more power-efficient than all existing MIMO precoding methods. Additionally, NIF under PIWF is also the least. Simulations also show the fast convergence of PIWF. © 2012 IEEE. Multiple-input multiple-output (MIMO) technology is known to improve energy efficiency in energy-constrained wireless networks, such as wireless sensor networks (WSN). Although in WSNs, a node is often equipped with a single antenna, nodes can be clustered into virtual antenna arrays that can act as virtual MIMO (VMIMO) nodes. In this paper, we propose a distributed cooperative clustering protocol (CCP) that aims at conserving energy and prolonging network lifetime by taking advantage of VMIMO communications. In contrast to previously proposed protocols, CCP fully exploits the diversity gain of the VMIMO technique by optimally selecting the cooperating nodes (CNs) within a cluster and balancing their energy consumption. We first formulate the problem of optimal CN selection at the transmit and receive clusters as a nonlinear binary program, and show the problem is NP-hard. Aiming at minimizing the imbalance in the residual energy at various nodes, we reduce the problem into two sub-problems: finding the optimal number of CNs (ONC) in a cluster and the CN assignment problem. To analytically address the ONC problem, we analyze the energy efficiency of two existing VMIMO methods: distributed Space Time Block Code (DSTBC) and distributed Vertical-Bell Laboratories-Layered-Space-Time (DVBLAST). The second sub-problem is addressed by assigning CNs to nodes with stronger residual energy. To make CCP scalable to large WSNs, we propose a multi-hop energy-balanced routing mechanism for clustered WSNs with a novel cost metric. Our routing method is also applicable to other clustering protocols (e.g., CMIMO, MIMO-LEACH). Extensive simulations are used to validate our analysis. © 2011 IEEE.